Sierra Gold entertains with great harmonies and bad jokes! 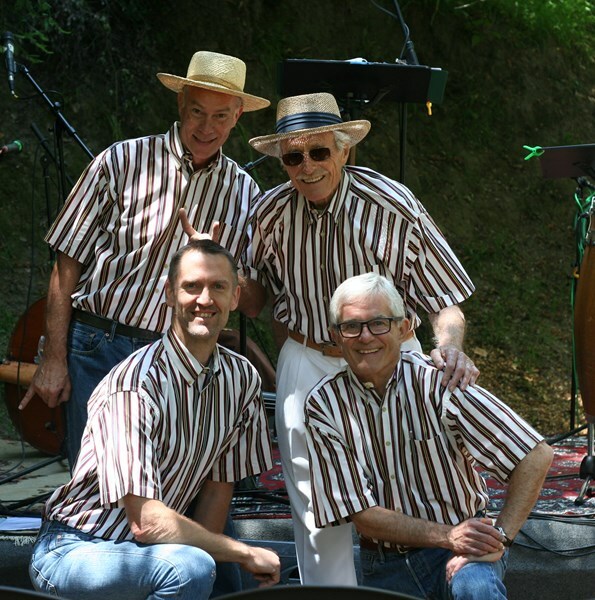 We started out singing classic folk songs in 1997- on their way to fame ... Sierra Gold sings well known songs of the 50's, 60's and 70's with a focus on the Kingston Trio. Fun and friendly entertainment. Whatever the song, whatever in the world it might be about, The Sierra Gold trio makes it fun to listen to. We specialize in tight harmonies, often singing acapella. We sing about errant ladies…and love, mayhem, hangings, and ____________. And Blank because no knows what Sierra Gold will sing about next. We collect songs from far and wide… real folk songs, popular folk song, hilarious parodies, quiet ballads . And give them all a new and bright life. 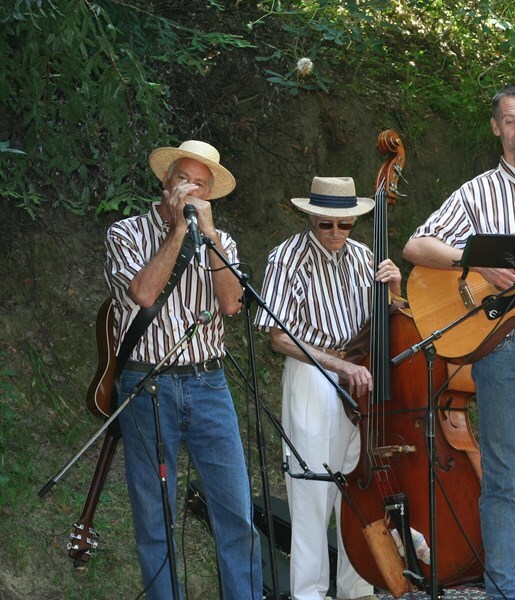 A free-wheeling, completely entertaining, completely delightful Sierra Gold Trio kind of life. Songs from American Musical History, folk classics, great story songs. More fun than the other bands. And the JOKES! Bad hilarious jokes. usually not dirty, 1 liners, or a sleeper that has to work it's way around the room for a delayed laugh, corny jokes, a pun or 3. Our job is to make people happy. We'll have a great time entertaining ya'all! We have 1 hour and 15 minutes of music and jokes. Additional services: As needed we can provide: sound system; Master of Ceremonies (MC) services, Basic DJ services, and acoustic bass player. 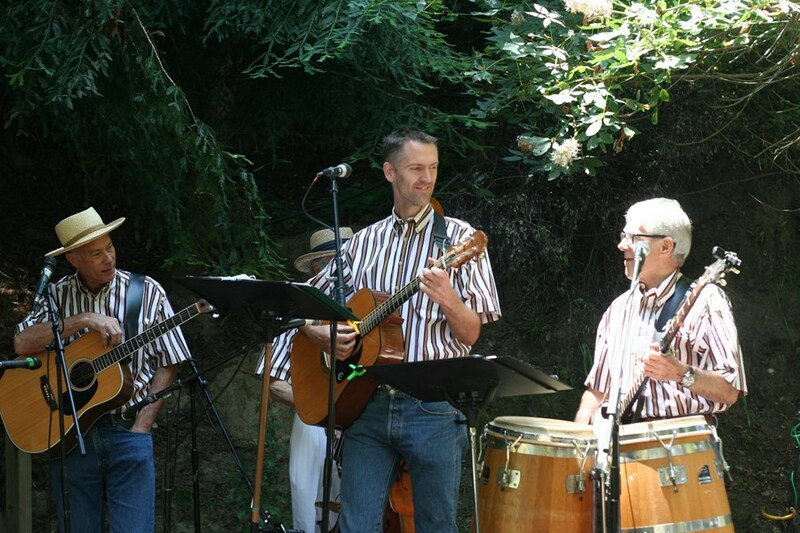 Please note Sierra Gold - A Kingston Trio Band will also travel to Corte Madera, Larkspur, Sausalito, Greenbrae, San Quentin, San Rafael, Tamal, Tiburon, Ross, San Anselmo, Fairfax, Kentfield, Stinson Beach, Richmond, San Francisco, Bolinas, Woodacre, Novato, Pacific Area Office, San Geronimo.